Ukraine lost the status of the third exporter of the honey in the world in 2018 as its export reduced by over a quarter last year as Ukrinform reported citing Olha Trofimtseva, the Deputy Minister of Agrarian Policy and Food of Ukraine. “In 2018 Ukraine lost the status of one of three largest producers of the honey in the world. 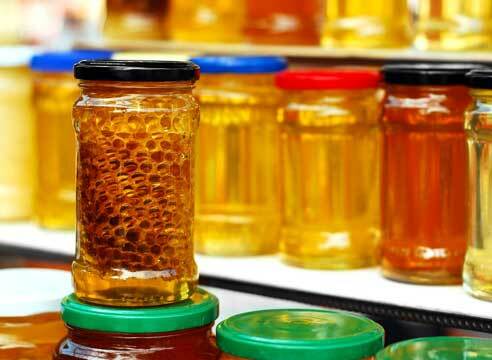 In 2017 Ukraine exported about 68,000 tons of honey. In 2018 this number reduced up to 49,400 tons”, Trofimtseva said. The ministry noted that the poisoning of bees during the spring field works is the result of the insufficient communication between farmers and beekeepers. According to Trofimtseva, the state stimulates the establishing of the interaction in this sphere by all possible means. She reported that the work on the draft law on pesticides and agricultural chemicals takes place; it provides the significant strengthening of the beekeepers’ positions and according to this draft law, the control over the use of the chemicals and pesticides will be enhanced. “It is necessary to look for a balance between the interests of the plant breeders, beekeepers and pastoralists. The main issue is the use of the counterfeit goods for defense of the plants due to the low level of the education of the farmers. The health of people and bees stays at one processing chain; the things harmful for bees are also harmful for people,” she emphasized. As we reported the Ukrainian producers have filled 100% of the volume of the tariff quota for the duty-free export of the number of the goods to the EU and almost completely filled some other quota. Earlier it was reported that for the first time in five years, wheat export declined in the 2017-2018 season by 9,6%compared with the previous season. The geography of wheat export didn't change over the years: Saudi Arabia purchases the majority. Summarizing the results of the season, the purchasing level remained the same as it was in 2017. Also, it was reported that Nibulon, one of Ukraine’s largest grain traders, based in Mykolaiv, seeks to implement a long-term investment program in Egypt worth $2 billion.